Easy access to wild places makes Bandon unique in the 21st century. Public beaches, parks, wildlife reserves, bikeways and trails offer countless destinations for outdoor enthusiasts. Though some may opt for truly deep woods exploration, many parks and trails are only a short drive from town. Even a quick jaunt along a quiet stretch of beach, or forest trail, can give the impression that you’re light years from your typical routine. Grab your water bottle, camera or binoculars, and enjoy the region’s year-round natural wonder. Rest up and restock in Bandon. 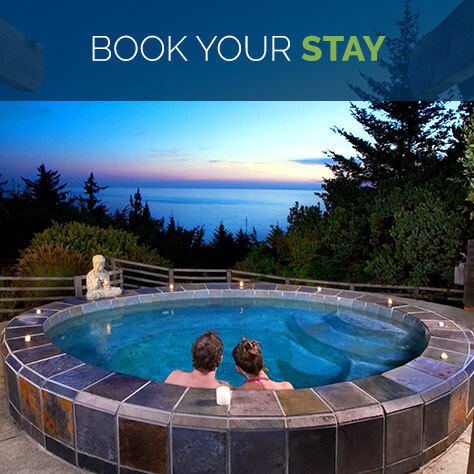 Cyclists traveling the Oregon Coast will find all the amenities for the perfect layover. Bandon has bike-friendly resources. And, the compact geography makes it easy to get around by foot or bike. New installations make cyclists feel even more welcome: A cyclist section was unveiled at Bullards Beach State Park in 2014 for overnight stays. 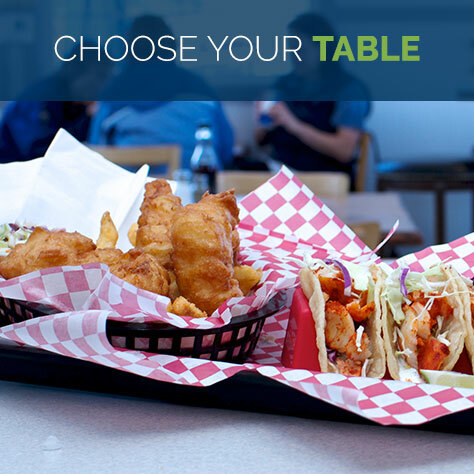 For a quick rest, park at the cycle stop on First St. in Old Town, next to Tony’s Crab Shack, then walk to nearby beaches, waterfront, shopping and dining locations. Stroll the beach. Relax. Upload your latest pics. 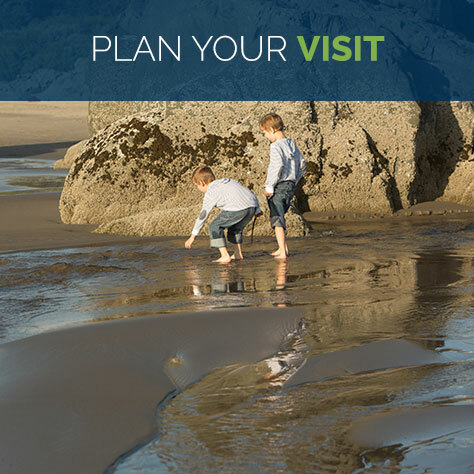 No matter how you spend your time in Bandon, you’ll hit the road refreshed and ready to climb back in the saddle. 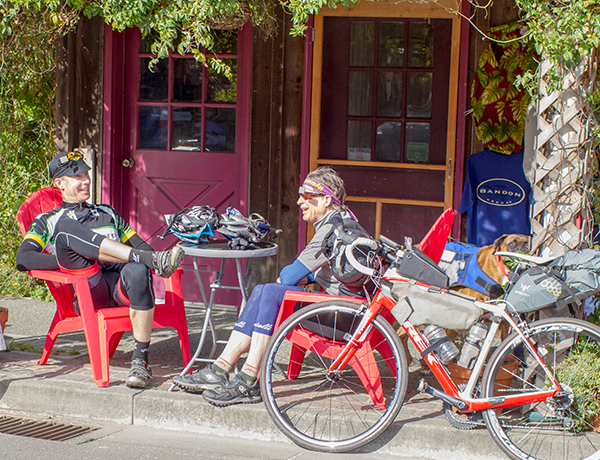 Oregon is the proud pioneer of scenic bikeways— publicly supported cycling routes that traverse picturesque cultural landmarks. The Wild Rivers Scenic Bikeway is a 61-mile journey through some of the most appealing scenery in North Curry County. 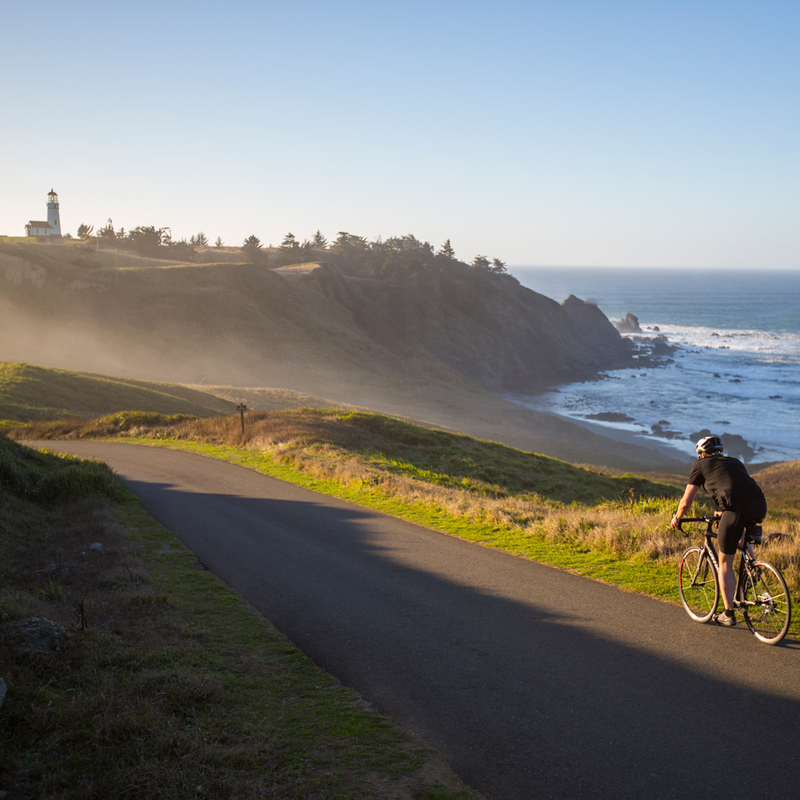 Ride past historic landmarks: Battle Rock, the Elk River fish hatchery, Cape Blanco lighthouse and the Port Orford Coast Guard Museum. The ride starts and ends at Battle Rock Park in Port Orford, just 25 miles south of Bandon. 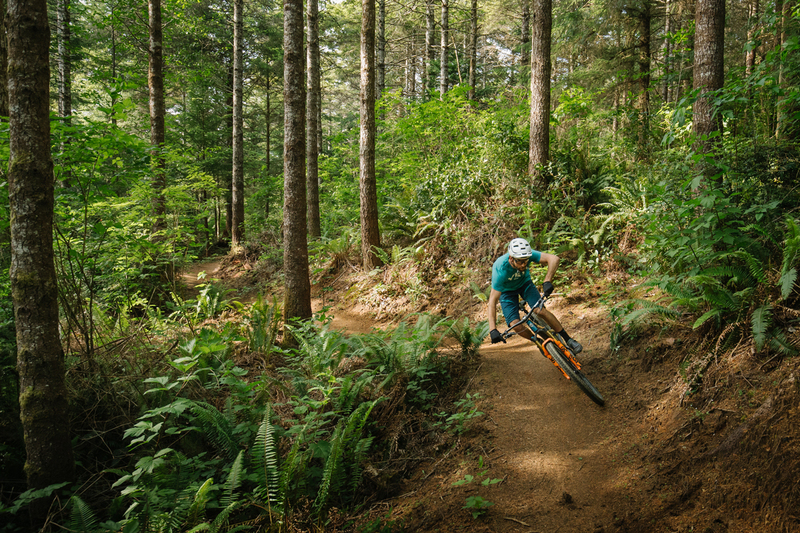 Cyclists and hikers get an up-close glimpse of a working Coos County forest at Whiskey Run Mountain Bike Trails. The trails are open all year and feature more than 10 miles of single-track two-way trails designed for beginner to intermediate difficulty. Explore tree stands in various growth stages in a forest that’s home to a wide array of plant species. Ready to hit the sand? 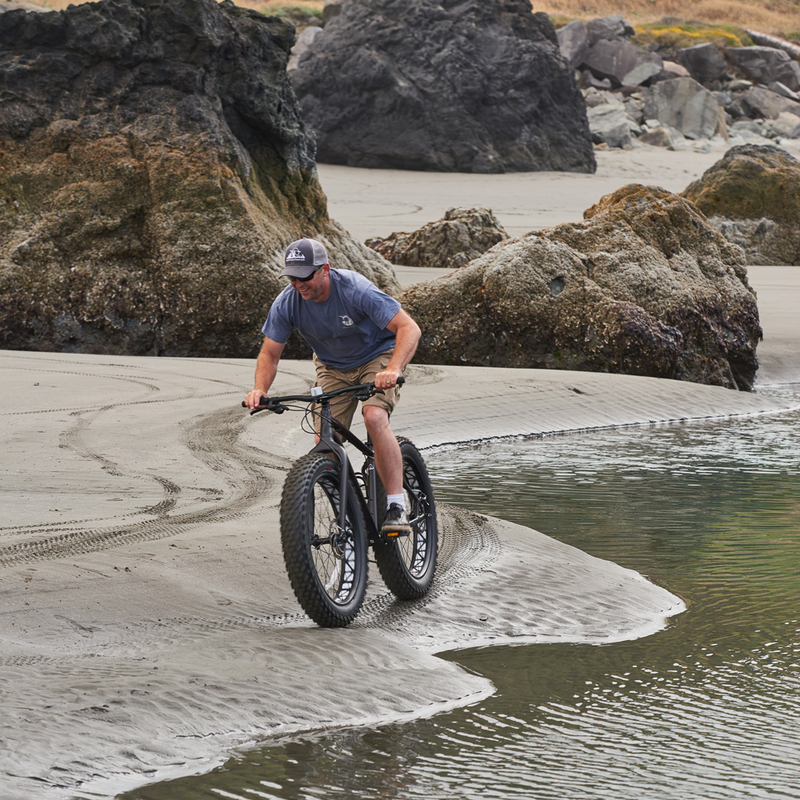 Fat tire bike riders are discovering just how fun it is to cruise Bandon beaches on two wheels. 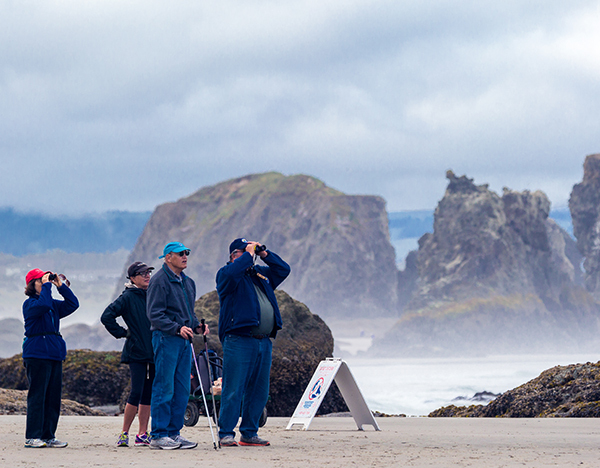 Oregon Coast beach rides mapped by Travel Oregon include a 19 mile Bandon fat bike beach ride. The route is easy to split into segments and rated moderately difficult. Highlights include stunning rock formations and splashy stream crossings. 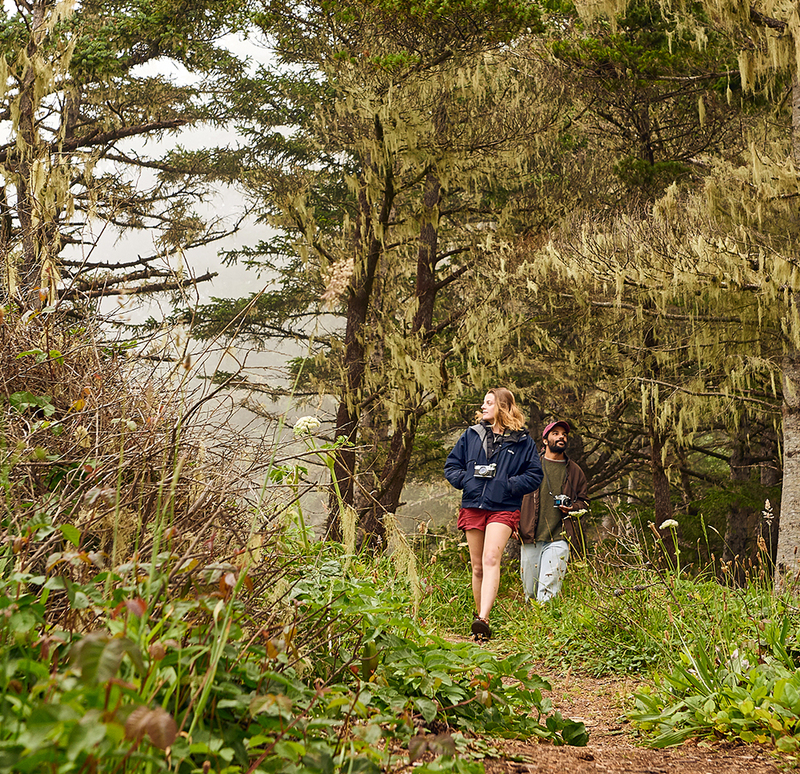 Join group walks, hikes and rides offered by Bandon area outdoor recreation and wildlife guides. Area outdoor rec services include guided tours, shuttles, bike rentals and a full service bike shop. Check the event calendar for events, or visit our business guide to book your own guided outing. The annual Kiwanis Doernbecher Memorial Bicycle Tour takes place in May. Choose from three out-and-back routes through Oregon’s beautiful countryside. The Whiskey Run Mountain Bike Festival is scheduled in June. Choose from ride options led by members of the Wild Rivers Coast Mountain Bicycling Association. Then head to Bandon for food, games and more fun at the after party. The Tour de Fronds is an annual cycling event hosted by the Powers Oregon Lions Club each June. Riders traverse Oregon’s premier Glendale/Powers Bicycle Recreation Area. Routes include options from 30 to 101 miles.